Dr. Pat Polastri specializes in the area of technology management, logistics, supply chain, lean manufacturing and sustainable practices in business. Before her career in Academia, Dr. Polastri worked for numerous years in European global manufacturing enterprises. 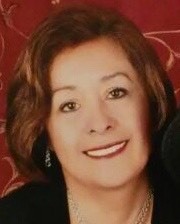 Her industry career made her experience management issues in several European and South American countries, in which she could improve her proficiency in the five language she speaks. She enjoyd the complexity of multinational organizations in the area of advanced manufacturing. Her interest in global business led her to pursue a PhD degree in Technology & Management. Her dissertation focused on the impact of globalization in the automobile industry of Indiana. Dr. Polastri has 13 years of teaching experience at undergraduate and graduate levels. Now a resident of Texas, Dr. Polastri continues her research in sustainable business practices embracing the Eagle Ford Shale discoveries. She is an Internal Steering Committee member for the Eagle Ford Center for Research, Education and Outreach established at the Frank H. Dotterweich College of Engineering. Dr. Polastri is an avid supporter of manufacturing and the Reshoring Initiative, seeking to promote the importance of global competitiveness on the manufacturing sector in our nation. In that role Dr. Polastri is a frequent speaker at conferences emphasizing sustainable practices and social responsibility in management. Dr. Polastri serves as CASA (Court Appointed Special Advocate) and as Chairwoman in the Food Advisory Board in her city of Corpus Christi.